I am a coffee lover, through and through - and have I ever mentioned that I love chocolate, too?! 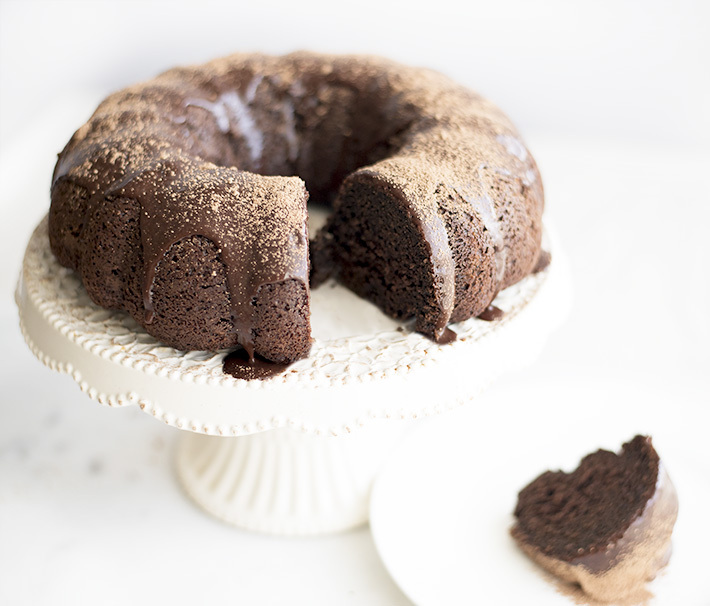 This bundt cake is a perfect combination of coffee and chocolate. 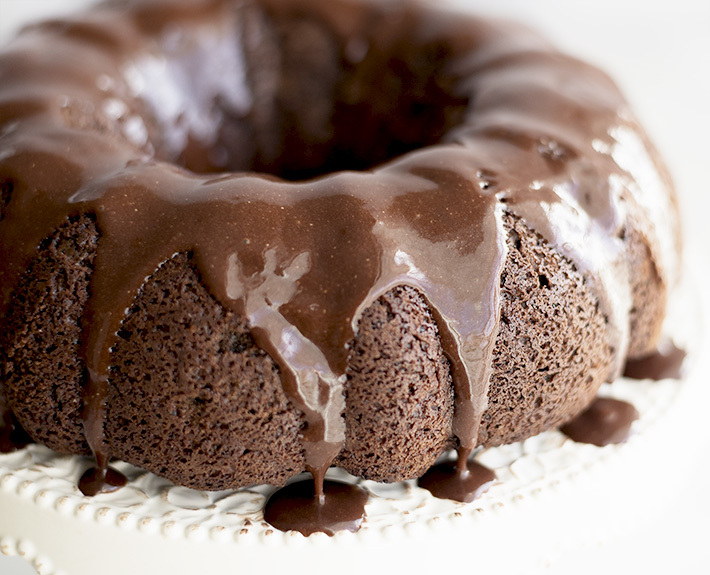 It has a sweet and silky glaze that adds even more delicious coffee flavor. 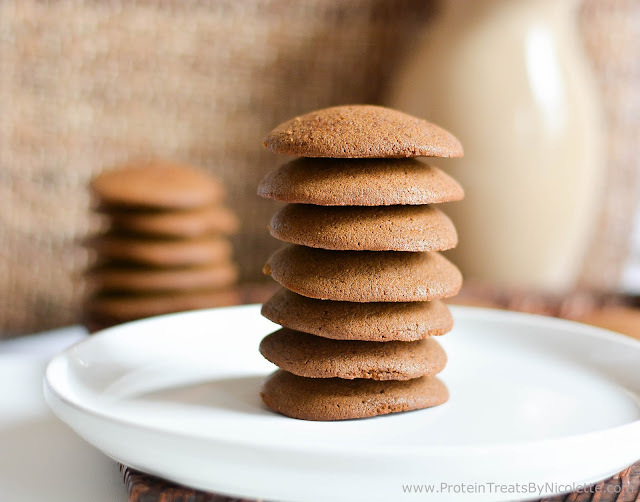 This can be enjoyed at breakfast or as a dessert dish, or.....both in one day! 1. 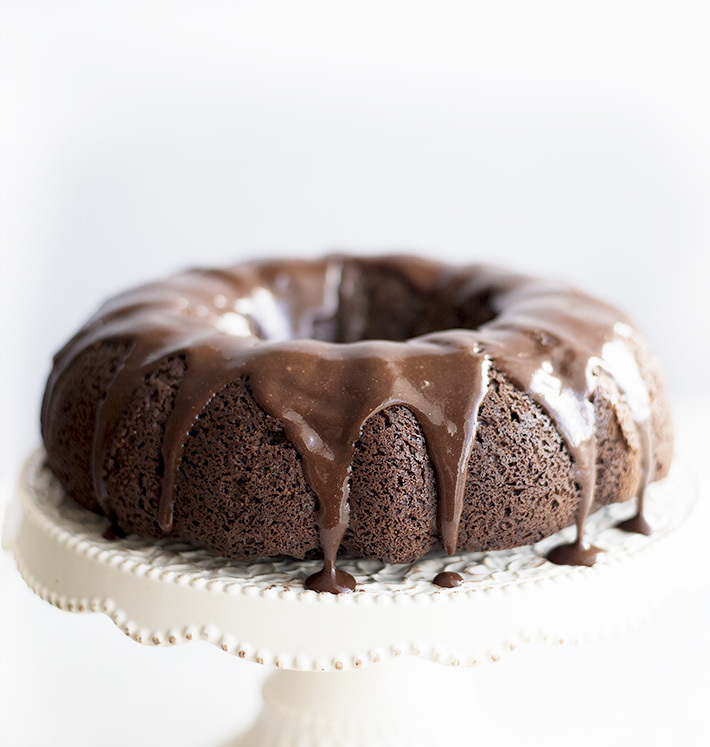 Preheat oven to 325 degrees F. Grease a standard sized bundt pan and set aside. 2. Combine the first 6 cake ingredients in a large mixing bowl. Whisk mixture until smooth. 3. Add the remainder of cake ingredients to the mixing bowl and stir to combine. 4. 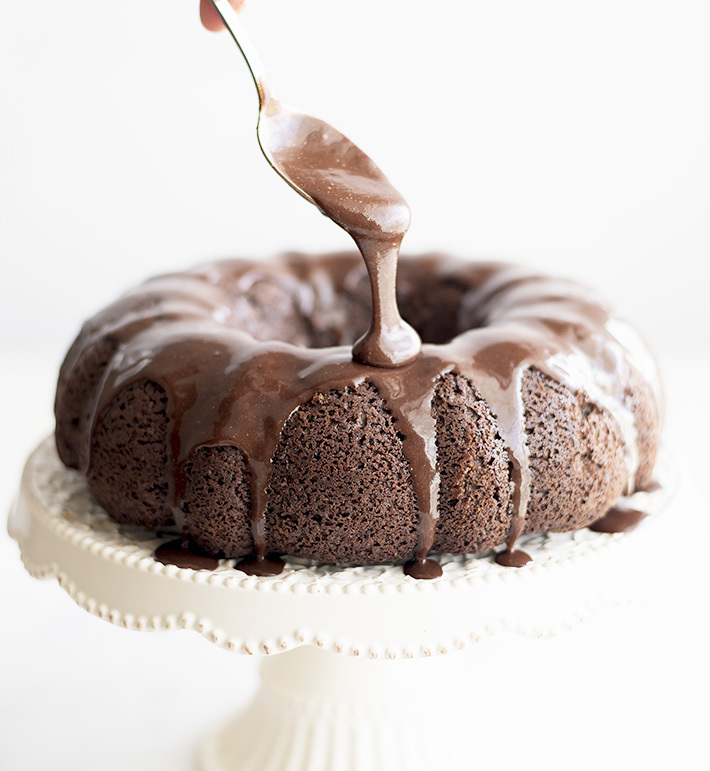 Spoon cake batter into prepared bundt pan and smooth down. Bake in the oven for 42-46 minutes, or until toothpick comes out clean when inserted to the center of cake. 5. 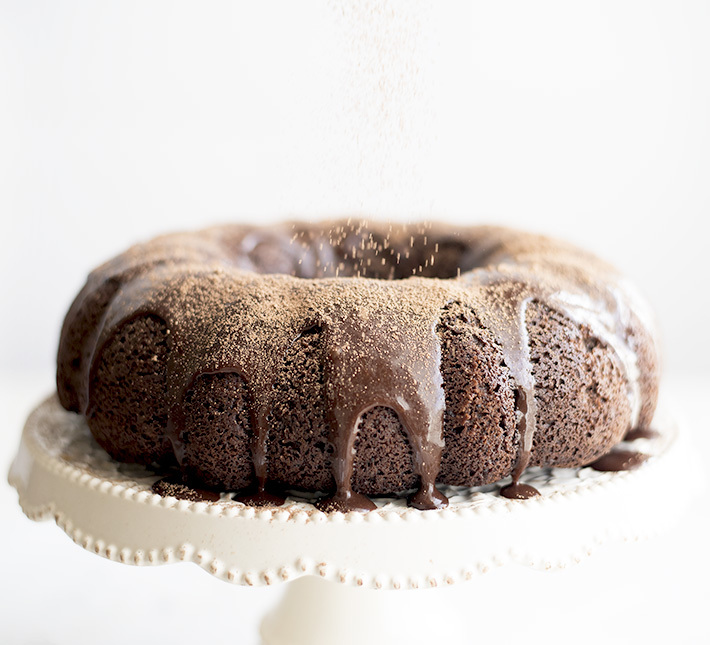 Let cake cool while you make the glaze. 6. Combine all glaze ingredients in a mixing bowl and whisk until smooth. 7. Invert cake onto a serving platter then drizzle the top of cake with glaze. Slice into 16 pieces and serve. Coffee and chocolate is the best combination of this whole wide world! Their combination can never ever go wrong and I am definitely trying this cake very soon. Can I use an egg beater instead of a whisk to mix the batter?